Hilderstone Hall offers 24-hour nursing care and has a dedicated Memory Lane Community, which provides high quality dementia care for those we support. We also offer day care and respite care for people who want short-term breaks. Our highly skilled and dedicated care team are dedicate to meeting the needs of residents and their loved ones. The activity team work closely with the Stone Alzheimer’s and Stroke Group, providing support and assistance when needed. The home has a minibus for day trips, a massage therapist who visits once a month, a hairdresser who visits twice weekly and a mobile sweet shop that visits every third week of the month. Our care home is set in the beautiful countryside of Staffordshire in the tranquil village of Hilderstone. As a Grade II listed building, Hilderstone Hall has retained many of its original features, and is set in a large landscaped garden with wheelchair access and seating areas to enjoy the view. The garden features a lovely 600-year old Lebanese Cedar and a lake at the bottom of the garden. 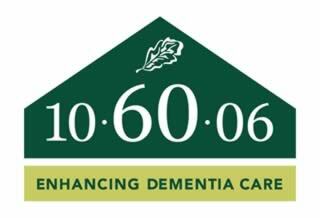 We offer bespoke nursing care and a dedicated Memory Lane community for people with dementia. Each new admission is dealt with very delicately, so as not to rush them. A lot of preparations go into a new resident moving into the home, including the creation of detailed care plans and risk assessments. We also encourage families to have as much input into their loved one's care as possible, so we can ensure that our services are as person-centred as they can be. In our latest CQC inspection, we received a 'Good' rating. Hi, my name is Rachel and I am the Acting General Manager here at Hilderstone Hall. Welcome to our website! I am a qualified nurse with over 25 years of experience in the care sector. I love working at Hilderstone Hall and really enjoy getting to know the team, residents and loved ones. I am devoted to making a positive difference to peoples' lives and ensuring that those we support at the home can live as comfortably as possible. I have been a Registered General Nurse since 2002 and have always had an affinity for elderly care. I am a strong clinician and joined Hilderstone following a clinical training role. I am looking forward to supporting and developing staff in the home. Becky Rowe has worked at Hilderstone Hall since 2000. Becky started as a Care Assistant and has worked her way up to Senior Carer and Head of Memory Lane. Becky has gained her NVQ Level 2 since being at Hilderstone in addition to her Level 4 in Dementia Care. Lynn has worked at Hilderstone since 2000. She has worked her way up from a Care Assistant to a Senior Carer and she is now the Residential Care Manager. Lynn has gained her NVQ Level 3 in Health and Social Care, in addition to her Level 4 in Dementia Care, whilst working at Hilderstone. Lynn enjoys close relationships with residents, loved ones and the rest of the team. She is always cheerful and positive and she is a very popular character within the home. Sharon has been Activities Coordinator since 2006 and is famous for her spectacular themed events. She organises and leads the activities team in providing a variety of things to do at Hilderstone Hall, and she also organises regular trips out using our minibus. She welcomes any suggestions from residents and families in relation to future activities. She also regularly hosts the monthly resident committee meetings. Hi, my name is Sue and I have been a receptionist here at Hilderstone hall since January 2019. I have over 25 years’ experience in a customer-facing environment, and I am thoroughly enjoying working here, ensuring that all residents and their families are well looked after. Hello, my name is Jake Chadwick and I am the Head Chef here at Hilderstone Hall. I have been with Barchester since 2010 and started as a young Kitchen Assistant and eventually progressed to the role of Head Chef, as I have a passion for food that looks good and tastes great. I am hoping for many more years in this role and I am always looking to improve on our currently high standards. I work with a small hospitality team who all have a great eye for detail and we recently received a food hygiene rating of 5, which we are all incredibly proud of. Ian has been at Hilderstone Hall since June 2017, when he transferred from another Barchester home. Ian has a high standard of workmanship and he deals efficiently with general repairs and maintenance issues, keeping a safe working environment and secure home for residents, staff and visitors. Our hospitality team serve up freshly produced, healthy and delicious meals throughout the day. Our housekeeping team takes pride in ensuring that the home is always clean, tidy and smells fresh for residents, visitors and fellow staff members. Gemma has been at Hilderstone since October 2017. She is passionate about making our home welcoming and inviting. Gemma enjoys making our home sparkle and loves the challenge of her role. These are the three members of our care team, all of whom have welcoming smiles and personalities. They have a wealth of experience between them. I started my career as a Teacher in 1966, teaching primary school children aged 7-12. I came to Hilderstone Hall in March 2017 and have got involved with various projects including being spokesperson for our Residents. I went on a Dementia Training course and I am now our Resident Dementia Specialist and work in our Memory Lane community. I have also kept my old job as Elvis!